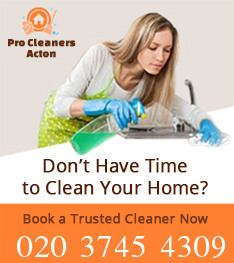 Pro Cleaners Acton has long specialised in offering diverse cleaning services in W3 Acton at very affordable rates. We are convinced that we can meet your expectations because we are hard working and thoroughly dedicated to provide the utmost care for the cleaning of residential and commercial properties. We count on reliable cleaners who are equipped with modern equipment of tools and detergents, thanks to which they can manage with each cleaning task, required by the customers. 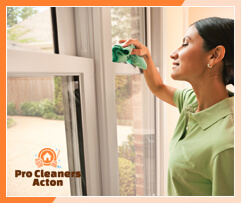 Thanks to our professional cleaning services you can quickly have your property cleaned from top to bottom. We assure you that our cleaning services are second to none because we have long collaborated with trained and comprehensive cleaners who will take up with the cleaning as soon as possible. We are thoroughly motivated to prove to you that we can manage with all the cleaning services in a comprehensive way and that we will try to exceed your expectations. Find us in W3 Acton and we will respond to your quests as soon as possible. 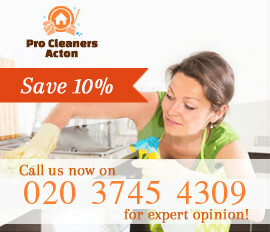 One of the services that we currently offer is end of tenancy cleaning and it is done according to all the standards. 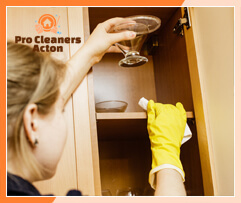 You will quickly get your deposit back because we count on dedicated and organised end of tenancy cleaners. Another cleaning service that we currently offer is the oven cleaning. If you meet difficulties with the complete cleaning of your oven we will be happy to give you a helping hand and to offer perfection in every detail. We also offer to your attention our perfect carpet cleaning and we apply cleaning technologies such as dry and steam cleaning. Should you need any other details that concern our cleaning services, provided in Acton W3, do not hesitate to contact our customer support centres, available 7 days per week. Acton W3 is a residential area in the western part of the capital city. Most of Its territory is within the London Borough of Ealing, and this is one of the most densely populated suburbs in this part of London. 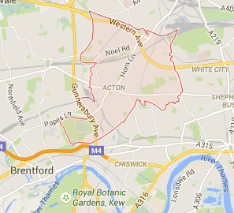 According to the 2001 census, Acton had a population of nearly 54,000 people, but its residents have definitely increased a lot since them. The eastern part of Acton is part of the London Borough of Hammersmith and Fulham, but a small part of the southern territory of Acton is located inside the London Borough of Hounslow. Acton houses a total of seven railway station which means that this district has more railway stations than any other part of London. One of the most popular places in the suburb is the Acton High Street. It houses a wide range of pubs, restaurants, coffee shops and stores, where you can spend your time.